A key ingredient to understanding a farm’s natural resources is a soil analysis. Surprisingly recent surveys of professional farmers and graziers indicate that only 14 – 30% actually undertake routine soil tests. It is difficult to imagine how land owners can make considered decisions about fertilisers, soil conditioners, plant species, environmental resilience and ecosystem improvement without this knowledge. 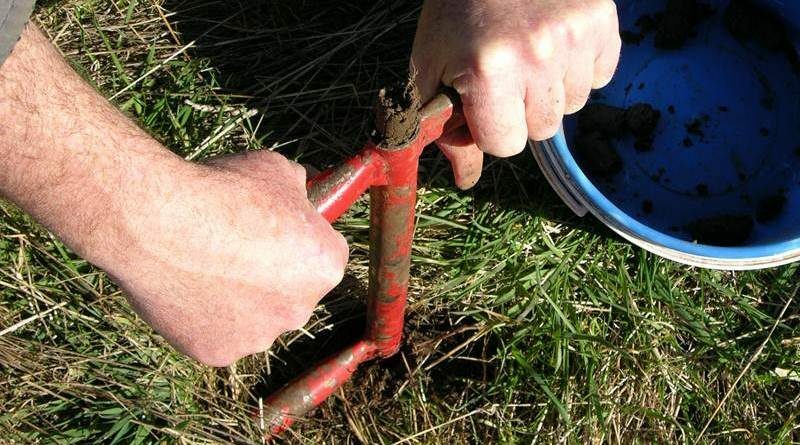 At ‘Moffitts Farm’ soil tests have been undertaken since 1989 and every year since 2002. The basalt clay loam soil had been farmed intensively since about the 1880’s. Our initial test results showed that despite maintaining relatively good structural elements, the soil was deficient in readily available major nutrients such as phosphorus and potassium. Soil pH was also low, that is too acid. When we started testing in 1989, a sample from the pooled soil cores (we take about 30 cores across a paddock, mix them in a bucket and extract the amount needed for each laboratory) was sent to three laboratories as a means of benchmarking the results. As it turned out the results were reasonably similar. It’s a strategy worth trying if you are new to soil testing and want to find out which laboratory gives the most useful report and recommendations. In more recent years we have sent samples to a single soil testing laboratory (SWEP) which is independent of input suppliers. Whether or not this is important is a personal decision but a key factor for us is the amount of detail and interpretation of results provided by the laboratory. 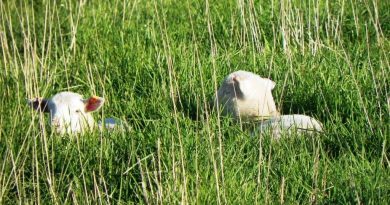 Basic analysis for nutrients is useful if you are considering applying either inorganic (chemical) or organic fertilisers to pastures and crops to support plant growth. However, it is important to understand that nutrient availability is just one of three critical soil health components that need to be balanced for plant growth, the other two are structural properties and biological properties. Traditionally nutrients and structural components of soil have been addressed by soil analysis, soil biology testing is a relatively new science and has only become commercially available in the last 12 years. For benchmarking purposes is it useful to pay extra to have a complete soil test with all three components measured. We also ask for a total soil phosphorus analysis. Armed with this as a starting point it is interesting to watch the impact of management practices over time. Best Management Practice programs usually refer to soil testing every one or two years. But for farms involved in grazing livestock, a test every four or five years is likely to be sufficient. If intensive agriculture is being undertaken with significant export of nutrients each year in products more frequent testing would be desirable. An important point to remember about soil testing is that the recommendations made are usually orientated towards professional farmers looking to optimise productivity of pastures and crops, and are usually based on conventional soil science chemistry. We now know alternative paths are available for improving soil nutrient levels, plant availability and structural properties, these are practiced by holistic, organic and biodynamic farmers as well as increasing numbers of mainstream farmers. They involve applications of natural products as fertilisers (eg composted manure), soil ameliorants (eg lime) and soil biological stimulants (eg compost tea, seaweed extracts). Their application usually has implications for farm ecosystems and personal goals and aspirations as well as for livestock and crop productivity. It is important to understand the differences between fertilisers, ameliorants and biological stimulants as they are often incorrectly bundled together in comparison trials. Fertilisers provide inorganic and/or organic nutrients which plants need to grow, the most common are chemical fertilisers, fresh or composted livestock manure and rock phosphate. Soil ameliorants are natural products which influence soil properties such as lime to increase pH and gypsum to improve soil structure. Soil biological stimulants are products which boost soil microorganism populations, they include stimulants such as seaweed extract or additional inputs of organisms themselves, such as compost teas. Some biochars seem to act as both ameliorants and biological stimulants – further research will uncover this. In seeking advice about soil test results, look for services that embrace all three components of soil health. Mainstream services tend to ignore soil biological properties while organic services tend to ignore inorganic nutrient properties. While soil tests are useful, so to is the power of observation when walking through pastures. There is a increasing tendency to utilise technology for measuring pasture growth rate and estimating ground cover and plant digestibility. It is worth taking the time to observe (and record) what the plants on a property are “telling” you about the soil, watching what the livestock are eating, monitoring livestock manure consistency and observing animal grazing and resting behaviour. These will fill in the important gaps missing from plant digestibility and nutrient content analysis, figure 1. 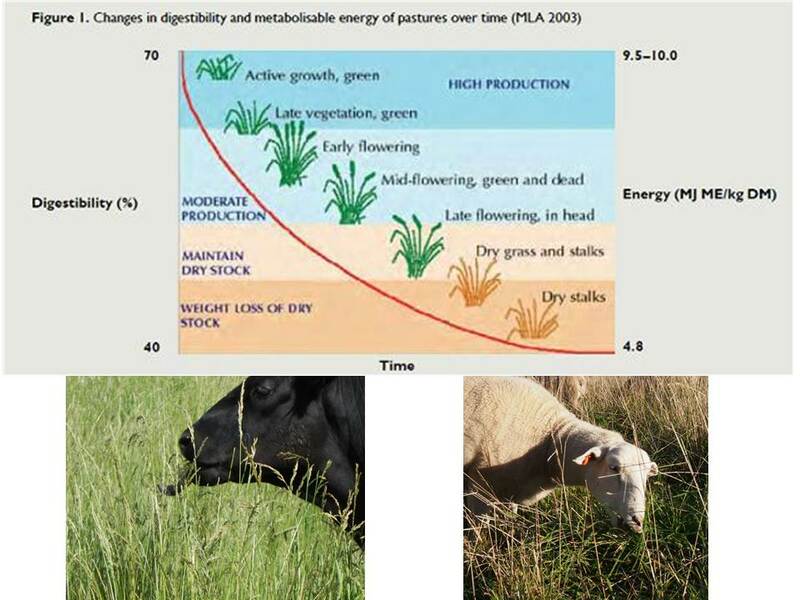 Figure 1: It is worth taking the time to observe (and record) what the plants on a property are “telling” you about the soil, watching what the livestock are eating, monitoring livestock manure consistency and observing animal grazing and resting behaviour. The ‘barley grass, spiny rush’ syndrome indicate dryland salinity is an issue. Dominant patches of cape weed usually indicate set stocking, and nutrient transfer to sheep and cattle camps. Understanding syndromes and their management solutions is the key to improving the situation. Relying on silver bullet applications of fertiliser and biological products to change a pasture could be most unrewarding. The most commonly discussed and used fertiliser in Victoria is superphosphate which is an artificial inorganic fertiliser used to correct phosphorus deficiency in soil. Over the last eight years there has been some considerable rethinking about phosphorus requirements. 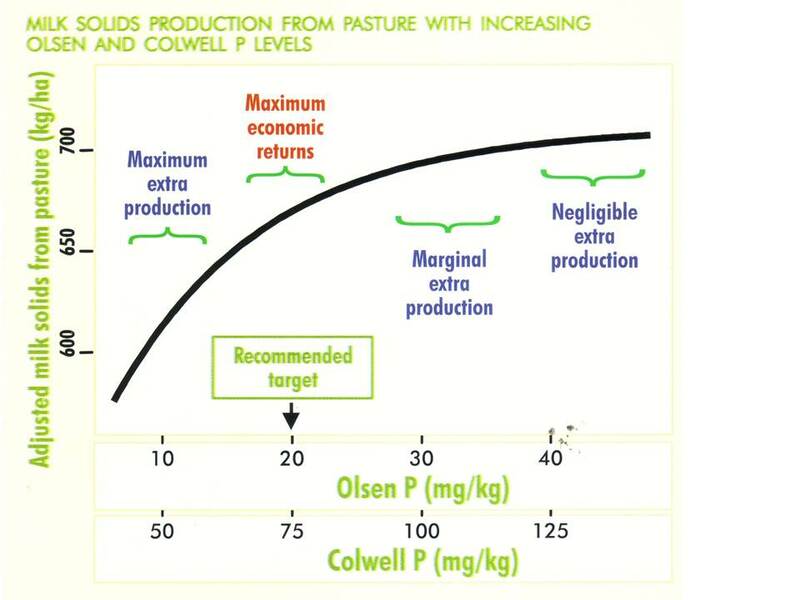 While at one stage the thinking was the higher the available phosphorus (measured as Olsen P or Colwell P) level the better, Department of Primary Industries research on dairy farms changed this. One reason was phosphorus contamination of water ways. This varies with soil type (sandy soils lose P in solution more readily than clay soils) but unacceptable levels of phosphorus are more likely when high plant available P levels are targeted by applying plant available phosphorus fertilisers. * Responses to phosphorus decline at optimum plant available P (with Olsen P the optimum is around 20 ppm). Adding more superphosphate won’t grow much more grass, and carry more livestock, figure 2..
* On many farms growing more grass is not the prime objective. If a comfortable number of stock can be run with existing soil nutrition and pasture species present, lifting stocking may be unnecessary. If a higher stocking rate is desired it is likely that altering grazing practice eg rotational grazing, will give the desired result without the need for additional fertiliser. * In many districts soils are highly acidic, (that is pH in water below 5.5). In such an environment plant responses are subdued as other factors impact on plant growth. Correcting soil acidity with lime is likely to be more effective for improving plant growth than adding more phosphorus. * It is now known soil biology plays an important part in phosphorus exchange between soil and plants. Fungi and bacteria can supply available phosphorus (as well as other nutrients) to plants in exchange for energy products. If soil biology is enhanced and looked after by maintaining greater organic matter, it can access plant unavailable phosphorus from the soil and make it available. * Loss of soil phosphorus in livestock products sold from the farm is usually low. In fact, some dairy farms are net importers of nutrients in the grain, hay and silage purchased for supplementary feed. Hay and silage is a significant sink for phosphorus and potassium. Few farmers realise just how much nutrient is lost when it is sold. Most of the price of hay is associated with the cost associated with making it, few people recognize and value its nutrient content. Many farm owners would do well to consider buying in hay or silage rather than making it on the property. This way they not only preserve their pasture health, they can build soil nutrients as well.On ‘Moffitts Farm’ with our holistic grazing program, soil Olsen P levels have remained above recommended levels even though we stopped applying superphosphate in 2000 and changed emphasis to building pasture vigour, persistence and volume using year round green varieties and holistic grazing. While we don’t feed any hay or silage as there is no need for it, the increased level of soil organic matter is likely to be enhancing fungi and bacteria populations with subsequent improvement in available phosphorous and nitrogen through mineralisation. Total phosphorus in the soil is high, ranging between 400 and 600 ppm.We will need to consider some form of phosphorus application in the future if soil tests indicate a decline in total phosphorus level. Our cattle enterprise exports on average 220 kg of live weight per hectare. Phosphorus exported, based on the generally accepted formula of 0.4 kg P in 50 kg live weight, is around 2 kg per year. When phosphorus is required we will likely source it from composted livestock manure, possibly with some rock phosphate and lime mixed in and let the soil microorganisms mineralise it to meet the needs of pasture plants as required. In comparison if we exported pasture hay from a paddock, each tonne (about three standard rolls) takes with it 2 kg of P and 15 kg of potassium (K). An average hay paddock would produce around four tonnes per hectare, so around 8 kg of phosphorus and 60 kg of potassium are lost with that hay. It’s easy to see why buying hay can have advantages for the farm’s nutrient balance. Our latest soil test shows our nutrient status is reasonable, but our structural composition and cation exchange capacity needs to be improved. This can be achieved by topdressing with gypsum and lime to add calcium and sulphur and decrease hydrogen in the soil. Biological tests and earth worm counts show our soil animal life is prolific and balanced. * National Association of Testing Authorities (NATA) accredited soil testing laboratories visit < www.nata.asn.au > go to ‘find lab’, then to ‘chemical’, then to ‘soils’ then to ‘agricultural’. * An organic approach to soil analysis and approved fertilisers visit Australian Certified Organic < www.aco.net.au > or NASAA < www.nasaa.com.au >. 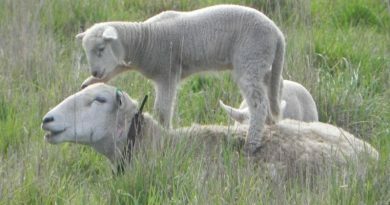 * A conventional agricultural science approach visit < www.dpi.vic.gov.au > go to ‘agriculture & food’, conduct a search on nutrients; or go to ‘landcare notes’ then enter number ‘ago375’. Southern Cross University Lismore NSW, www.soilfoodweb.com.au .